Fastrax IT530 GPS modules, available from Glyn High-Tech Distribution are ultra-low power consuming and super-sensitive OEM GPS modules in a tiny form factor. These GPS modules are manufactured by Fastrax Ltd., a pioneering developer of high performance GNSS receivers and GNSS software solutions for location-aware devices. The Fastrax IT530 offers advanced power-saving features that ensure very fast time to first fix (TTFF) without sacrificing battery life, a critically important issue in location-aware, battery-powered consumer devices. 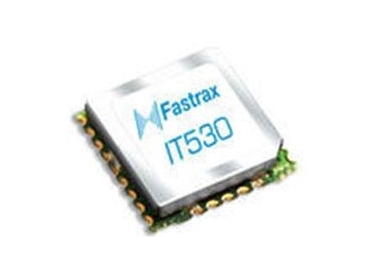 Fastrax IT530 GPS modules build on Fastrax’s legacy of designing extremely small, sensitive and low-power consuming GNSS receivers in the industry. According to Fredrik Borgström, VP of GNSS Receivers at Fastrax, consumers must be able to use the increasing variety of location-aware devices without having to search for power sockets while on the move. Fastrax’s goal is to continuously improve their technology to establish new benchmarks for fast and easy integration of location information. The IT530 is designed for OEMs to be embedded in battery-operated devices that need a fast position fix at all times without draining the battery.